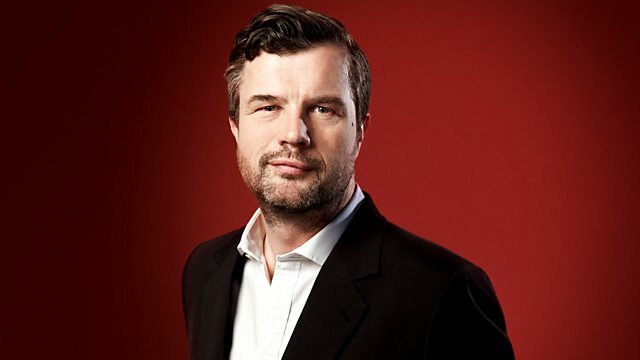 Petroc Trelawny presents Radio 3's classical breakfast show featuring listener requests. Also, as part of New Year, New Music, Radio 3 presenters introduce some of the latest pieces of music they love. Choir: Tenebrae. Performer: Alexander Mason. Director: Nigel Short. Karg-Elert: Fruhe Meisterwerke Fur Kunstharmonium. Singer: Alex Potter. Ensemble: Concerto Copenhagen. Conductor: Lars Ulrik Mortensen. Performer: Ronald Janezic. Orchestra: Vienna Philharmonic. Conductor: Sir John Eliot Gardiner. Choir: Hereford Cathedral Choir. Director: Geraint Bowen. Choir: St Paul's Cathedral Choir. Performer: Andrew Lucas. Conductor: John Scott. Orchestra: London Classical Players. Director: Sir Roger Norrington. Handel: Water & Fireworks Music: London Classical Players, Norrington. Singer: Renée Fleming. Orchestra: Munich Philharmonic Orchestra. Conductor: Christian Thielemann. Orchestra: Iceland Symphony Orchestra. Conductor: Ilan Volkov. Orchestrator: Vincent Plush. Orchestra: Orchestra. Conductor: Philip Brunelle. Got the Saint Louis Blues. Performer: Gerold Huber. Performer: Andreas Lipp. Singer: Katharina Konradi. Mozart: Works for Solo Organ.